Mixing knot with the pump for a heat-insulated floor. The ready to installation, compact operating module for system of floor heating. 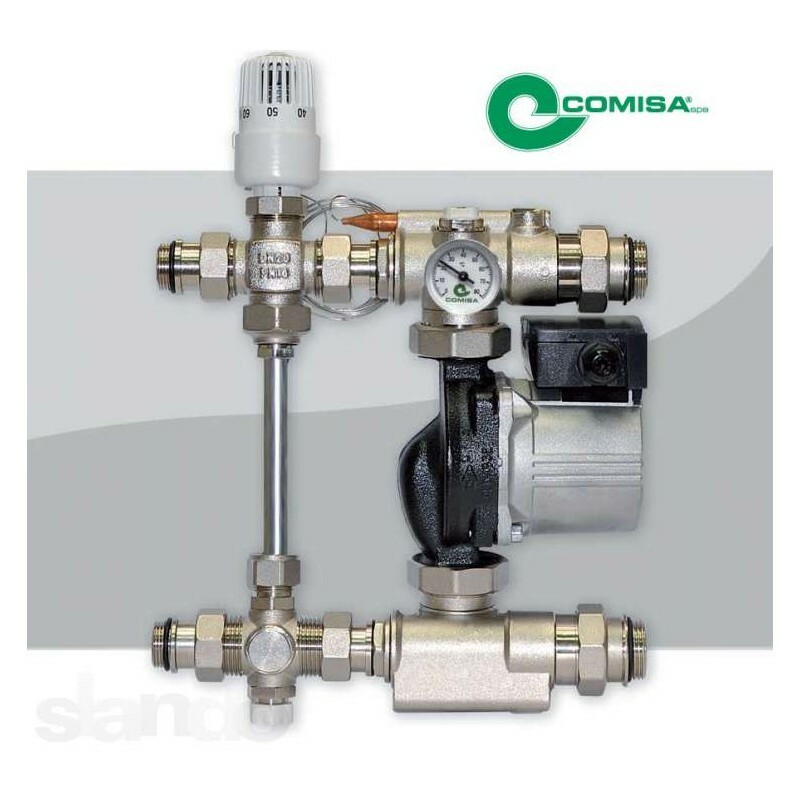 The threshold size of temperature of giving is regulated by the thermostatic mixing valve. Unbelievable price on Mixing knot with the pump for a heat-insulated floor of Comisa in Uzhgorod (Ukraine) company Bodnaryuk Stepan Alekseevich, ChP.